Eurocom is adding multiple levels of display panel upgradeability to the M5 Pro high performance gaming laptop so customers get the display beauty they expect from a premium, custom system. Professional Display Calibration is offered to ensure the colours of a customer’s chosen display is as accurate and true to life as possible. When dealing with 8 million pixels, accuracy of those pixels is very important. At Eurocom, choice and upgradeability are paramount for our customers. They demand the best and they demand the ability to choose between varieties of high quality, high performance components. Customers can now choose between two 1920x1080 panels in the AUO B156HAN01.2 matte, LG LP156WF4-SPU1 Glossy and two 4K panels in the SHARP IGZO LQ156D1JX01B Glossy and SHARP IGZO LQ156D1JW04 matte panels. 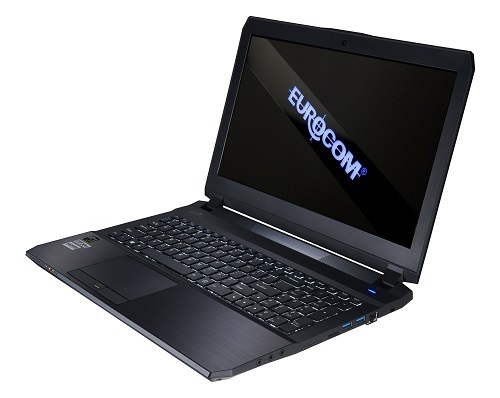 The EUROCOM M5 Pro has two M.2 2280 SSD, SATA interface (RAID 0/1) or One M.2 2280 SSD PCIe Gen2 x2/x4 interface, as well as two changeable 2.5” 7mm(H) HDD/SSD (RAID 0/1), or One changeable 2.5” 9.5mm(H) HDD/SSD, SATA interface. The abundance of storage options gives customers an incredible amount of control over their storage capacity, speed and price. The M5 Pro is prewired for 3G/4G/LTE module support, through an M.2 slot, so users can have a reliable internet connection on the go for mobile gaming or professional use.